Each year, the elite Hope’s Peak Academy selects only the most gifted and talented students to enroll . . . plus one ordinary student, chosen by lottery. Makoto Naegi was that lucky person—or so he thought! 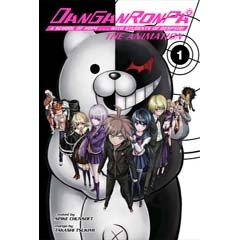 When he shows up for class, he finds the elite students are a bizarre cast of oddballs under the ruthless authority of a robot teddy bear principal, Monokuma. The bear lays down the school rules: the only way out of Hope’s Peak is to not only murder another student . . . but get away with it, as every murder is followed by a tribunal where the surviving students cross-examine each other!